Elder Law Services | Volusia County Estate Planning Lawyer Randal L. Schecter, P.A. Contact Port Orange Wills & Trusts Lawyer Randal L. Schecter, P.A. Assistance with maintaining your current lifestyle at home. Safety assessment and evaluation of home environment. Providing options for private and public care. Provision of information for touring nursing homes and assisted living facilities. Education and information on how to choose a nursing home or assisted living facility. How to ensure quality of care. Financial assessment for Medicaid Eligibility. Referrals for Respite Care and caregivers support groups. Referral for assistance with relocating. Veteran’s Aid and Attendance information. To reserve a private consultation with our registered nurse, please contact our office. Information on educational programs and support groups for the Alzheimer's Resource Council of Flagler County, The Alzheimer’s Association, Hospice, Parkinson's Association, Veteran's benefits and others. 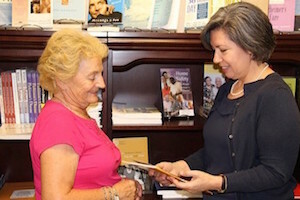 Our Elder Law firm also offers a Community Resource Library open to all at no charge. Randal L. Schecter serves the entire Central and North Florida areas including Bunnell, Daytona Beach, DeLand, Edgewater, Flagler Beach, New Smyrna Beach, Port Orange, Orange City, Ormond Beach, Palm Coast, Pierson, Ponce Inlet, and St. Augustine.